Well, the decision most of us saw coming is now official. 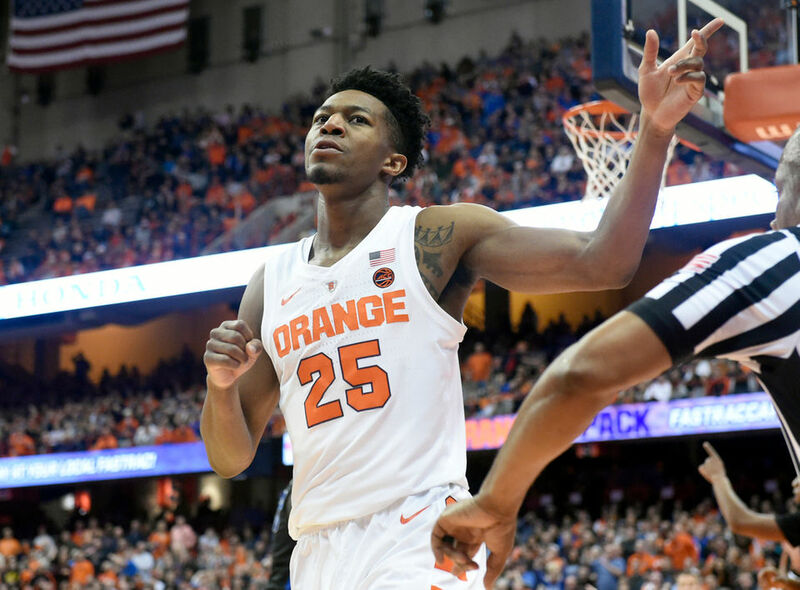 Tyus Battle’s career in Syracuse is likely over. The junior guard plans to enter the NBA Draft, according to Adam Zagoria. It’s a no-brainer for Battle and honestly fans should mostly just be thankful that he played three years. Hardly anyone comes back after being in the situation he was in last year and he did. Battle leaves with one of most impressive careers at Syracuse in recent memory. Not to mention, off the court he was about as good as it gets. He was the model of leadership and is set to graduate in three years, which is pretty darn impressive considering how much time basketball takes out of a student athletes life. Battle leaves with a legacy known for making the big shots at the biggest of times. He’s right up there with the likes of G-Mac, Shumpert, Melo, Douglas, Pearl and the rest of them that just seemed to have that extra clutch gene. He never won a national title or will not finish with the same stats but who knows what the past three years of Syracuse basketball would’ve been like if he decided to stay committed to Michigan. The Clemson shot his freshman year, Georgetown this year and March Madness dagger after dagger last year. Plus, the single game performances like 32 in the win at #1 Duke this year and Florida State on the road last year. It’s almost impossible to remember all of them. He had that kinda career and no one should be upset that Battle is now going on to pursue the next chapter of his basketball life. As for life without him now, when you look at the roster next year there is once again a lot of depth on paper. In all likelihood not everyone listed below will be playing in March but here’s what’s available. 12 guys are listed above. Syracuse knew life without Battle was likely coming after this year. They have plenty of guard depth. Not having Battle next year is going to change a lot. Don’t be upset he’s gone though. Be thankful Syracuse got three years of a fearless leader.